Commonly called bichwa , but also bicchwa or bichhwa literally means "scorpion". 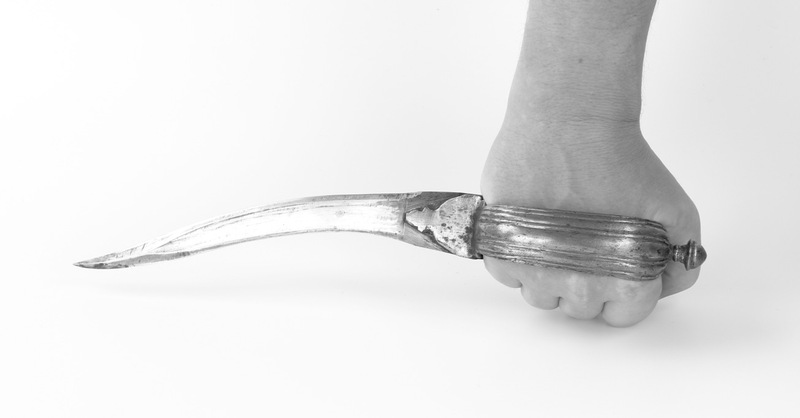 The name most likely refers to the shape of the blade that resembles the sting of a scorpion. 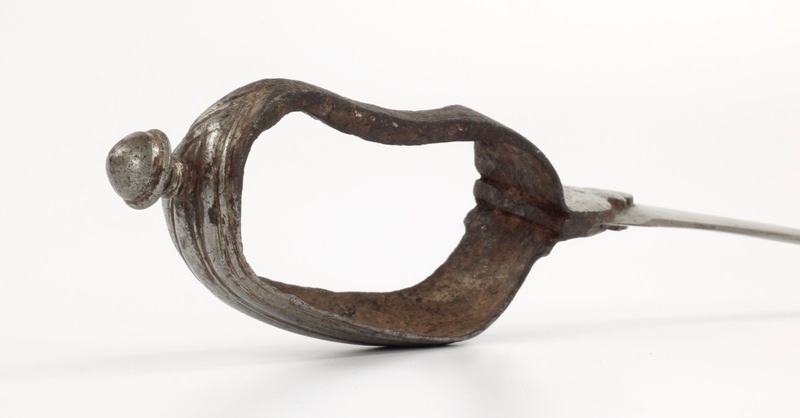 The bichwa consists of a loop handle that is designed to fit tightly around the palm of the hand, enabling the wielder to use the hand without having to drop the dagger, for example when engaging in wrestling. 1. Lord Egerton of Tatton: Indian and Oriental Arms and Armour. Dover Publications; Revised edition, 2002. Page 116. 2. Robert Elgood; Hindu arms and Ritual , Eburon Academic Publishers, Delft, 2004. Page 237. The statuette is located in the Prince of Wales Museum of Western India, Mumbai, accession number 66.4. 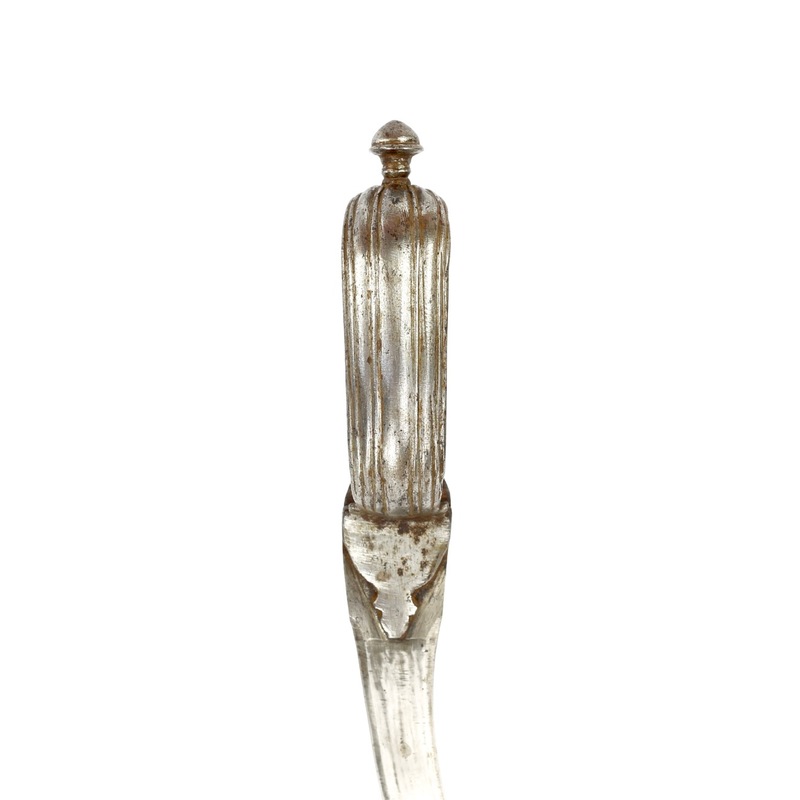 An old bichwa dagger with a substantial steel blade and grooved iron handle with mushroom-shaped finial. 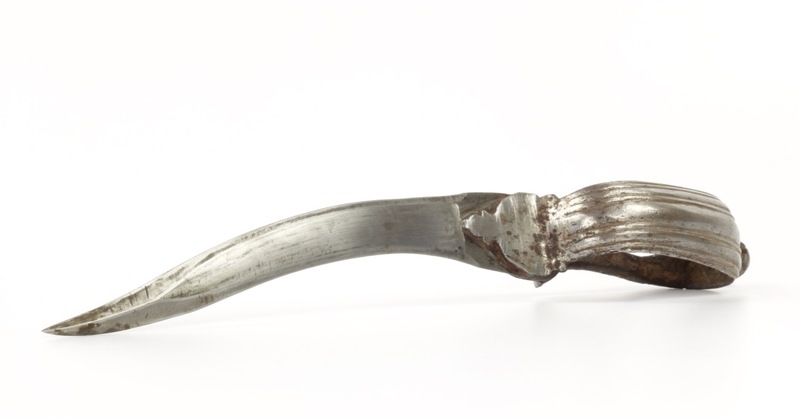 Both blade and handle have been subject to over-cleaning by a previous owner. 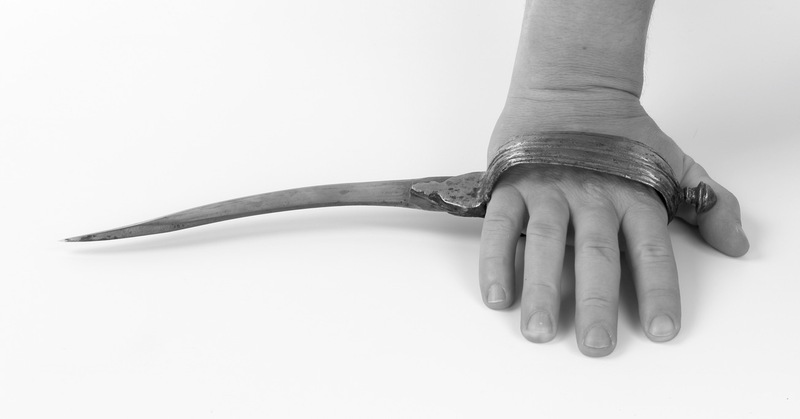 The blade is of good, thick steel and very sharp. It has a reinforced tip that some collectors believe helps in armor piercing, though I think the thickening is just generally a good design aspect regardless of penetrating armor or softer targets. 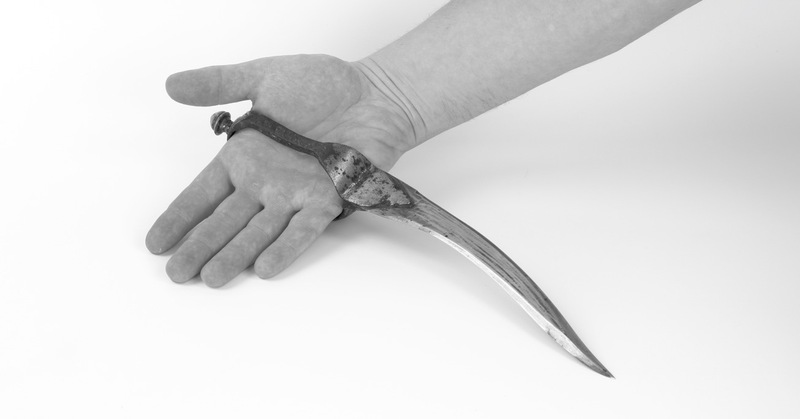 While not the most visually attractive or ornamental example of its type, I hope it will serve a beginning collector or student of martial arts to gain understanding of this type of dagger and its use.